Write an advertisement for this play park. Why would people want to visit? What are the children thinking? What is the girl looking at? What would you like to play on in this playground? Draw a diagram and describe the forces acting on the swing. 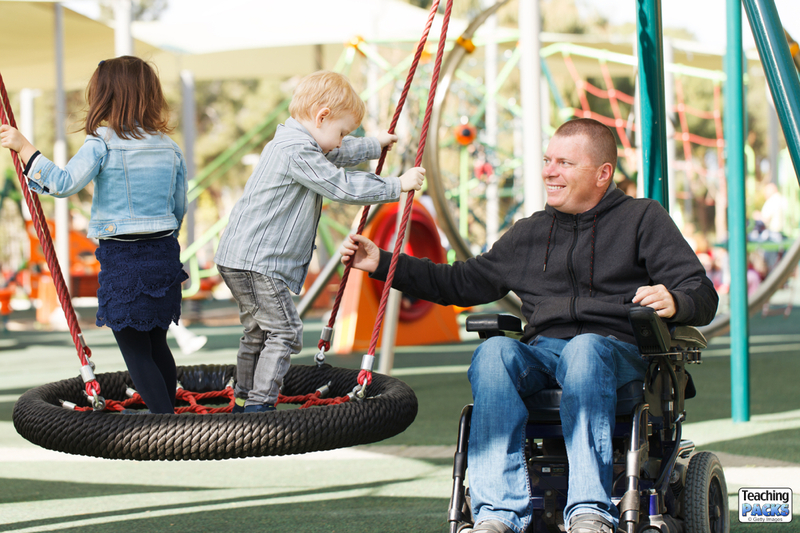 Design a playground that is accessible for all users. The man is using a joystick to control his wheelchair, which gives instructions to the chair to go forwards, backwards or turn. Can you use these instructions to program a robot to follow a route?